How long can a tyre be used? Quote Reply Topic: How long can a tyre be used? My Kingcycle front Wobler racing slick has developed a lot of age cracks. The only tyre I can find to replace it is a Kojak, not as good a tyre as the Wobler. Should I change it? I think I'd change it... What size is it?? 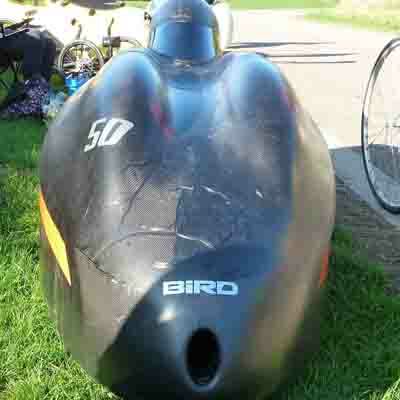 Be like Burt Munro and fill the cracks with boot polish . 17" ETRO 32-369. Been on the bike for about 17 years. Well he went a lot faster than I ever will, even downhill. Well I changed it but the inside looked OK. 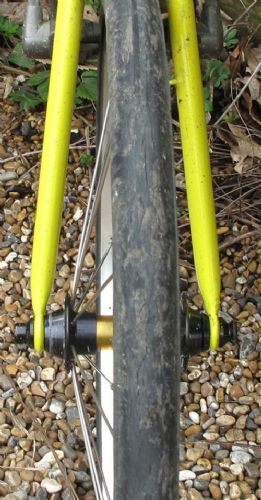 I'd forgotten I'd put Kevlar tape between the tube and tyre because the first Wobler I put on was damaged beyond repair within the first 200 yds by a piece if glass, and at £75 a time I was hoping to avoid a repeat. Not sure how though as the carcass was cut right through and the tube was bulging out. Just bad luck I guess. All the others wore out before getting punctures.